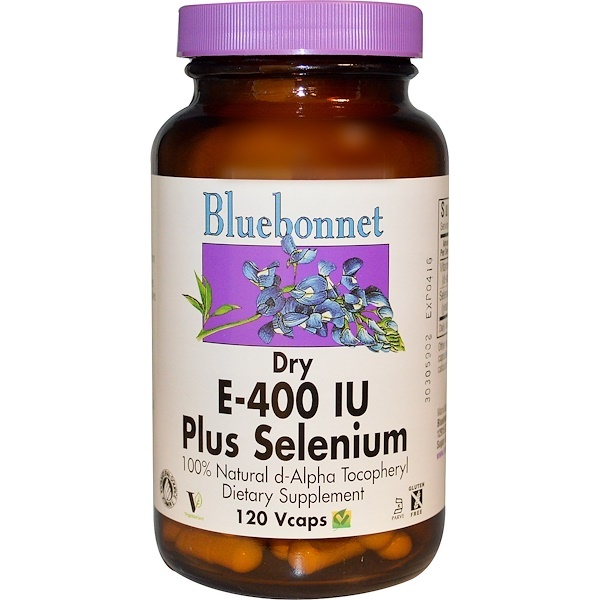 Bluebonnet's Dry E-400 IU Plus Selenium Capsules provide 100% natural vitamin E from oil-free d-alpha tocopheryl succinate, plus selenium from yeast-free L-selenomethionine. Available in easy-to-swallow vegetable capsules for maximum assimilation and absorption. 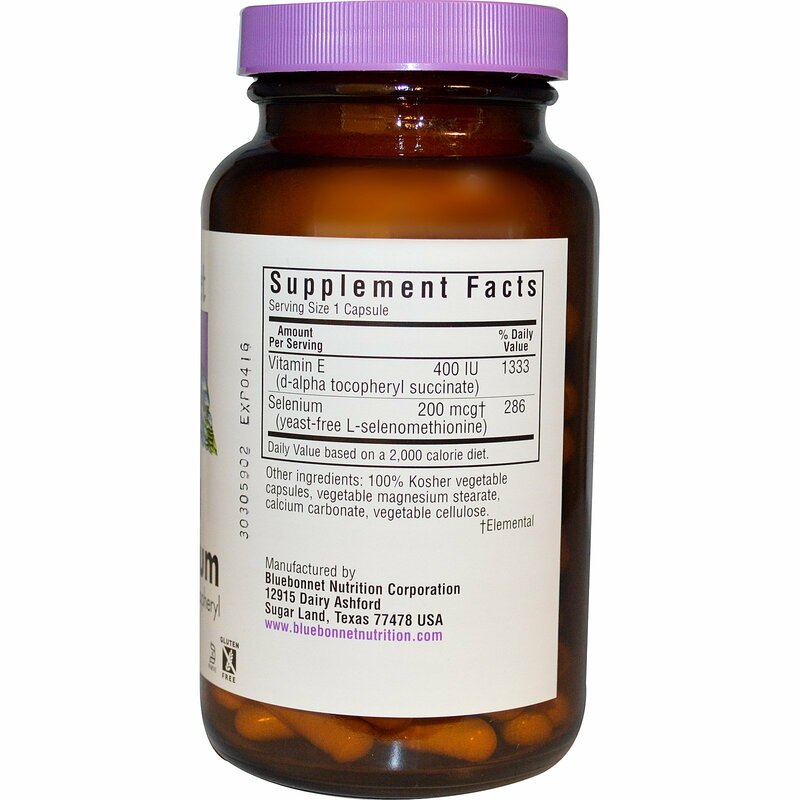 100% kosher vegetable capsules, vegetable magnesium stearate, calcium carbonate, vegetable cellulose.